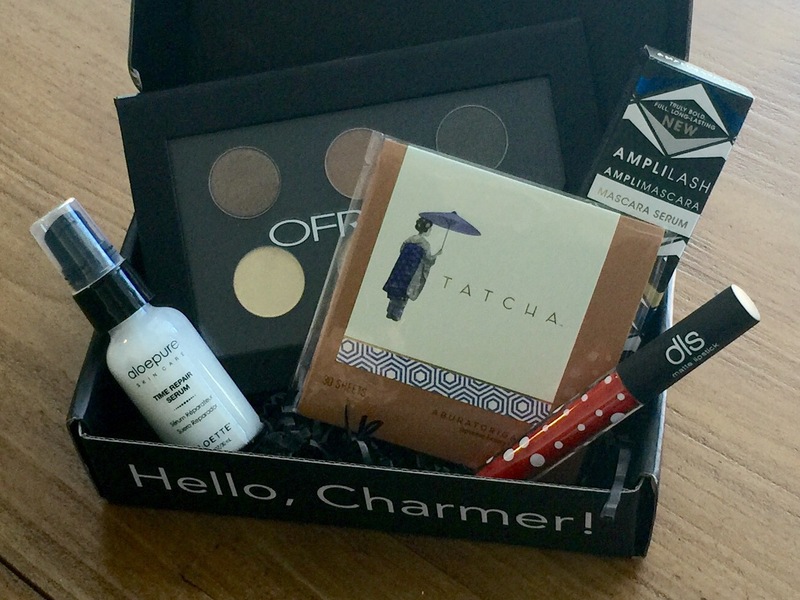 I’m so excited: my first Boxycharm arrived last week, and I am already in love with this subscription box! If you read my recent Why I Cancelled Ipsy post, you know that I decided that I was ready for a subscription service that sent full-size products. I loved sampling makeup, haircare, and skincare from many different companies, but I also learned that so often those samples went unused because they were small and difficult to keep track of. They got lost if I put them in my regular collection, but if I stored them separately, I forgot about them. So I knew it was time to try Boxycharm and begin incorporating more new full-size products. My first box did not disappoint. In my August box, I received a skin serum, a mascara, a liquid lipstick, a package of blotting papers, and an eyeshadow palette. Now I will admit, at first I was a little disappointed. What drew me in and made me subscribe was the Coastal Scents Mini Blush and Bronzer palette, which I saw online and in several unboxing videos. I know it wasn’t the most expensive item in the box, and I honestly think it was more the packaging than the colors that attracted me–I love a palette, it came with a brush, and it’s pink! I never used to be so into pink, but my son tells his teachers at school that it’s my favorite color whenever they make an art project for the parents. I’m not sure how he came to this conclusion, but because of him I’ve begun to like pink more and more. But I loved the multitasking possibilities of this palette, so when I opened my box, I was so disappointed that I didn’t end up receiving it. Instead, I got the Ofra eyeshadow palette that I think was part of the previous month’s box. (I cannot believe I was initially sad about receiving eyeshadows!) I quickly came around though, to realizing that this was actually a perfect item for me. I don’t own a z-palette and have been considering buying one, but it’s hard for me to spend around $20 on an empty palette when I so rarely use eye shadow singles anyway! 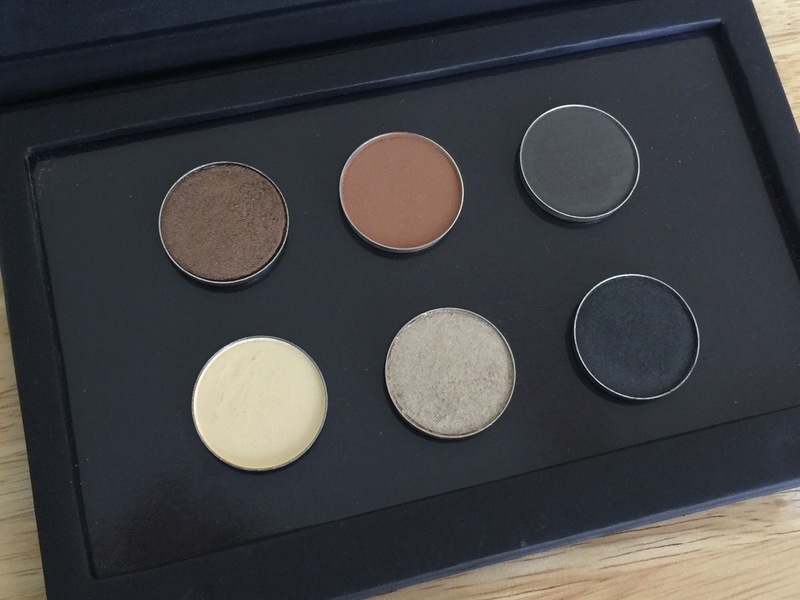 But right out of the gate, Boxycharm provided me with a magnetic palette, and it included 6 gorgeous eyeshadows! (I love it when my subscription boxes include something I’d considered buying anyway!) So now I love that I received the Ofra palette instead of the Coastal Scents. It’s not pink, but I know I’ll get so much more use out of it, and I have a place to put the few singles I do have and don’t use because they’re still in their little envelopes and I never think to pull them out. And really, the blushes in the Coastal Scents palette look very similar to some blushes in my Elf Blush palette in Light. So let’s talk about the palette. Each eyeshadow single retails for $10, making this a $60 palette, not including the palette itself! That’s pretty amazing, if they’re all colors I would wear on a regular basis. And they are. 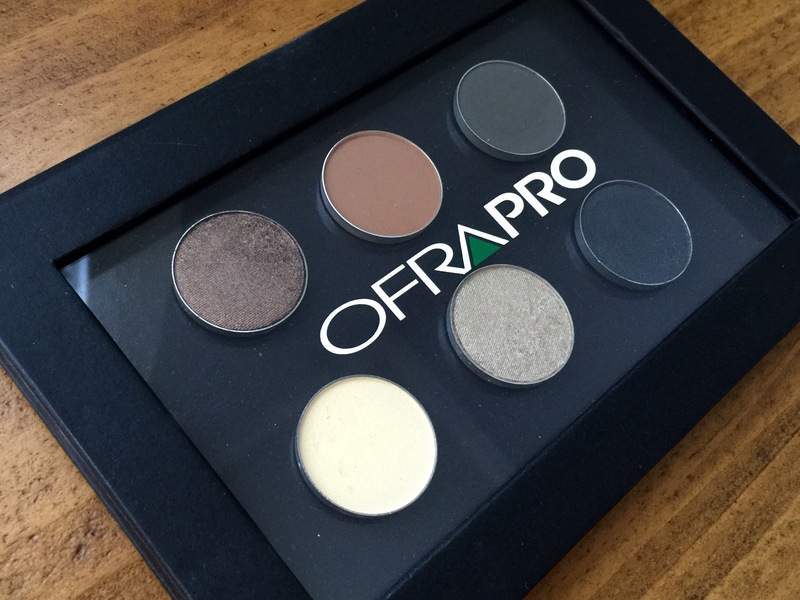 Ofra chose a great range of matte and shimmer neutral shades that can work together to create a single look, or they can be combined with other shadows. I am very impressed with the selection. The names of the shades are: Buttercup, Bohemian, Truffle, Smoke, Iron, and Millennium Gold. (The shades are listed on the back of the palette, but I moved the pans around before I realized that, so I’m not completely sure which names match which colors. Based on the photos on the Ofra website, I think these are the names of the shades starting in the lower left corner and moving clockwise.) All of these shades are available in single pans on the Ofra website. The formula is creamy, buttery, and very pigmented. There is little to no fallout upon application. 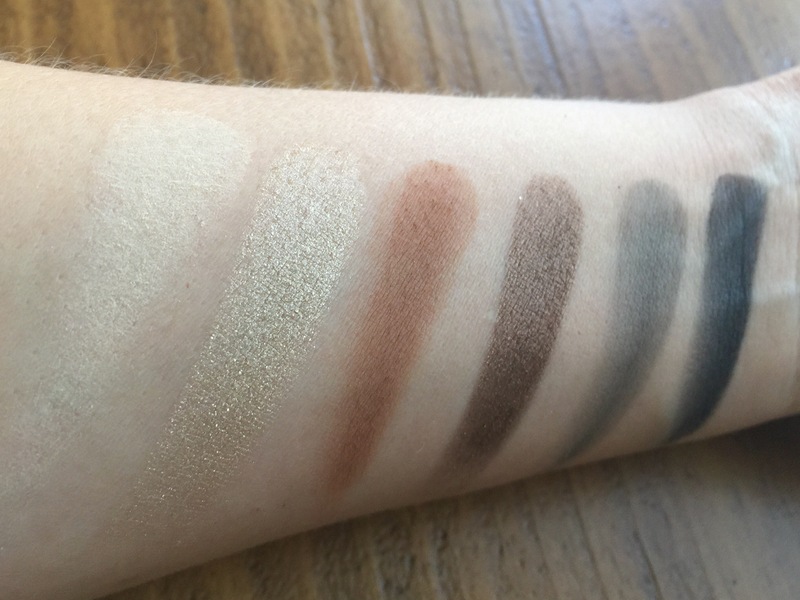 Each shade is true-to-pan, and the wear time is fantastic. They look almost as vibrant at bedtime as they do when I apply them at 7 am. The shimmers may have faded slightly, but the colors are still there and the look does not become muddy. It definitely made me want to try more Ofra shadows! I’ll be browsing their full range of shades soon! 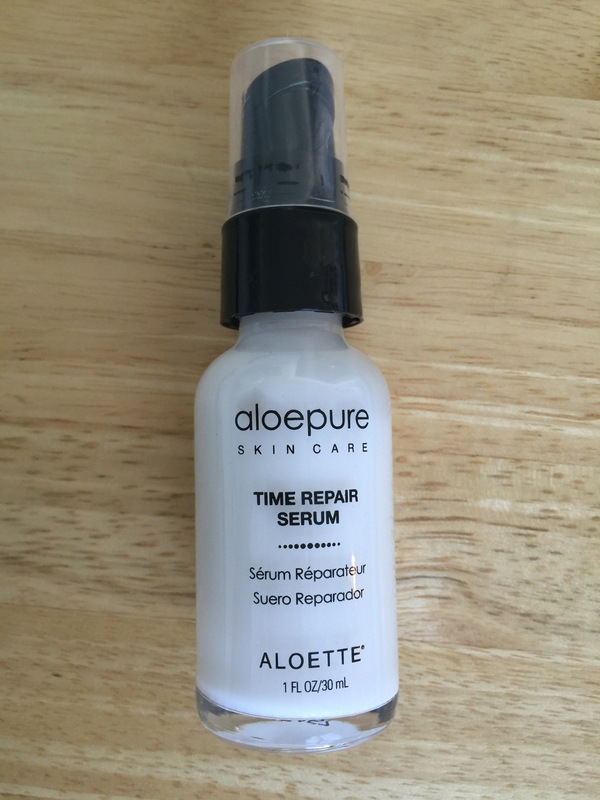 The next most expensive item in my box was the Alouette Aloepure Time Repair Serum. This is a full-size facial serum lotion, and it retails for $48. It comes in a sturdy glass bottle with a pump. This is the type of thing that made me want to try Boxycharm. I hated getting skincare samples in my Ipsy bags because most skincare products take a few weeks to show the results they claimed, and the sample sizes were not big enough to use that long, so I never knew how they’d work long term. As a result, I always hesitated to buy a full size, even if I liked the product. This serum works nicely, though it is still a bit too early to tell if it lives up to its claims. It says it is formulated with alpha and beta hydroxy acids to encourage cell turnover and improve radiance and diminish fine lines. I haven’t really noticed a decrease in fine lines, but then again, I have pretty pronounced lines in my forehead and around my mouth, so maybe they are past the “fine line” designation. I put this on before my night cream, and my skin does have a glow when I put it on that seems to be there when I wake up in the morning. One odd thing about application: It sinks in to the skin very quickly, so quickly in fact that the application is a little bit stressful! I have to put a pump on my fingertips, dot it on the target areas, and rub super quickly and lightly to spread it around my face so that I don’t end up tugging the product and my skin with it. Using a second pump didn’t really change the fact that it would start to drag within a few seconds after getting it on my face. So one pump is enough, but work quickly! At the moment I’d be unlikely to buy a second bottle simply due to the application, though I will continue to use the one I have and if my wrinkles start to diminish, I’ll be sure to post an update! It smells light and fresh, not overpowering in the least, and it does not compete with the scent of my overnight cream, which is a plus. So I’m not ruling out a repurchase; I’ll just need to see how it continues to perform. I do think the $48 price tag is pretty high, though, considering I don’t like it as much as many creams I’ve tried that are half the price. Next, I received the Dirty Little Secret Velvet Matte Liquid Lipstick in the shade Phantom, a bright orange-red. This was made in limited edition for Boxycharm, but can be purchased for a short time on the DLS website for $10 (their other liquid lipsticks in the line are $14). 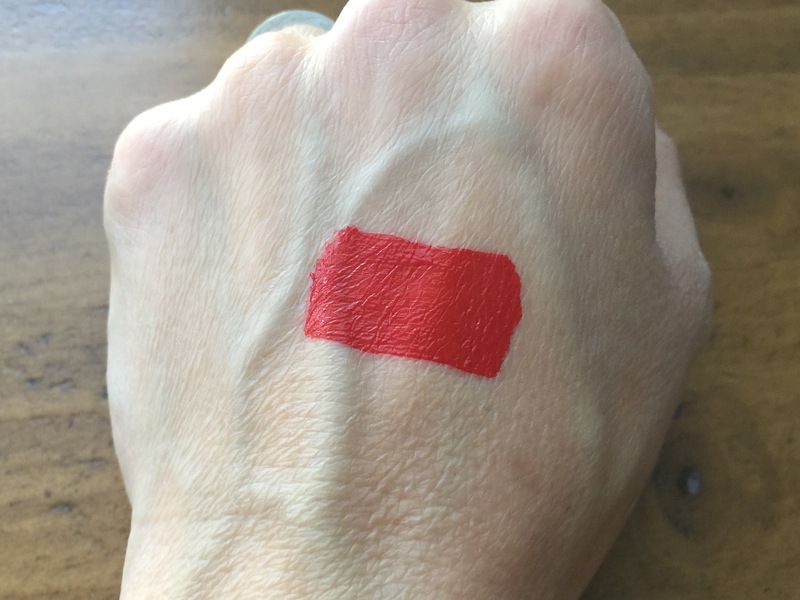 It is a bright red, and has very warm undertones. For me, DLS Phantom is a lipstick shade that begs to be worn with minimal eye makeup, maybe just pale neutral shadows and thick mascara, so that the lips are really the focal point. It is not completely transfer-proof, but it doesn’t rub off easily either. It won’t last through eating, but it reapplies better than some liquid lipsticks, which can start to peel or clump up. And the packaging has white polka dots on it. Combined with the bright red shade, all I can think when I look at it is “Minnie Mouse.” Which makes me love it all the more. 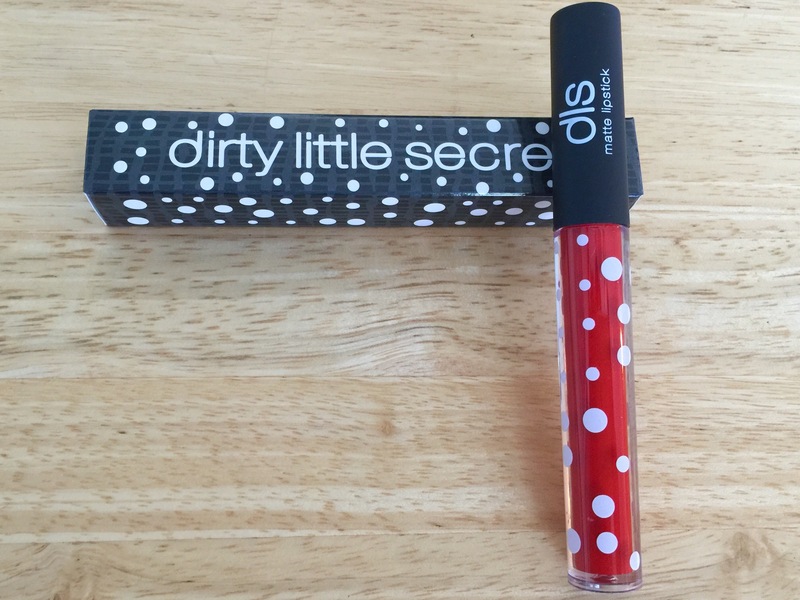 I loved the formula and packaging of the liquid lipstick, so I immediately went to the Dirty Little Secret website to check out the other colors. Unfortunately, they don’t have a wide selection, and the colors they did have were either too light for my taste, or they were colors I already owned. Bummer. I would have bought more if they’d had more options. I may yet go back and buy the shade Rust, but I’ll have to go through my collection to make sure I’m not just getting a duplicate. 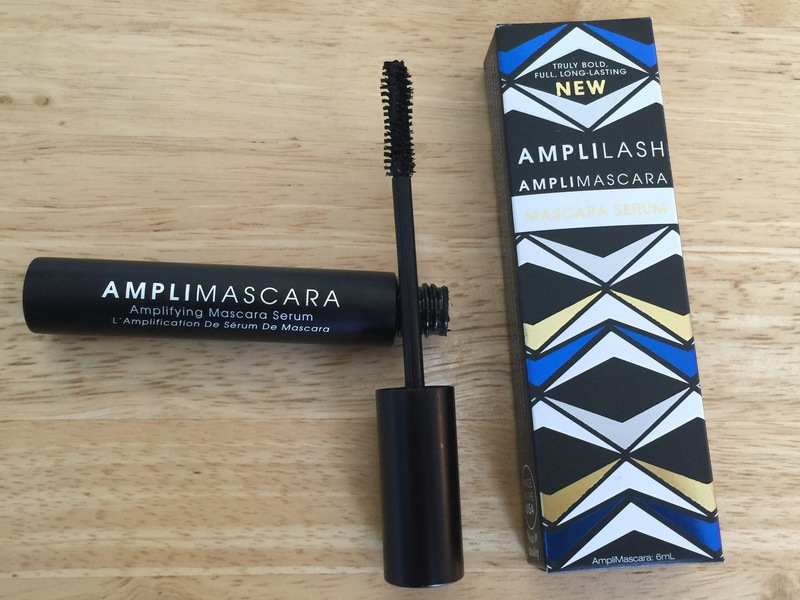 Nest, I received the Ampilash Mascara from Makeup Eraser. This one confused me at first. It says it is a mascara serum, which I assumed meant a lash treatment. But it is actually a mascara that has a serum in it (I think). As silly as it might sound, I absolutely love the packaging–it is a smooth, matte black metal tube. Yes, it shows finger smudges, but it feels cool to the touch and looks streamlined and modern. The box almost has an art deco feel. It feels luxurious without being stuffy. And at the end of the day, if the packaging makes me pull out that mascara amidst all the other silver and black tubes in my drawer, that means something. I am in love with this mascara. Mascara formulas can be such a tricky thing, and are so dependent on personal preference. Some people prefer a dry formula, while other prefer a wetter formula. Me, I want the Goldilocks of Mascaras: the perfect hybrid of wet and dry. Some dryer formulas don’t smudge or clump, but it also seems like you are getting almost no product on your lashes, and they dry too quickly to add more coats so my lashes get spidery and spiky. But really wet formulas have the opposite problem: they are so wet that they don’t dry quickly enough between coats, so when I go to apply a second coat, I feel like I’m just moving the first layer of mascara around and my lashes get clumpy and the mascara doesn’t really build. And I’m just unlikely to use a primer and a mascara–I don’t like the white primers, and while Benefit’s They’re Real tinted primer is the best I’ve used, that whole process of layering two mascaras is just slightly more work than I’m willing to put in on a daily basis. This one has only one “but,” and it has nothing to do with the mascara’s performance on the eyes. The only possible “but”–and I honestly don’t see it as a negative, but simply something to be aware of–is that removal is a little odd. Rather than dissolving, as many mascaras do when you use makeup remover or soap and water, this one sort of pills up and comes off in tiny, rubbery pieces. The great thing is that you don’t get that impossible-to-remove streak of black under your eyes if you use soap and water. (Or is this just me?) But you do have to work to make sure all of the mascara essentially “peels” off of your lashes. It does come off easily and I have not had to pull on my lashes or rub hard to get it off, even when I don’t use makeup remover. It will not harm your lashes. It just comes off differently than most of my other mascaras. But it is a great product, and I highly recommend it! 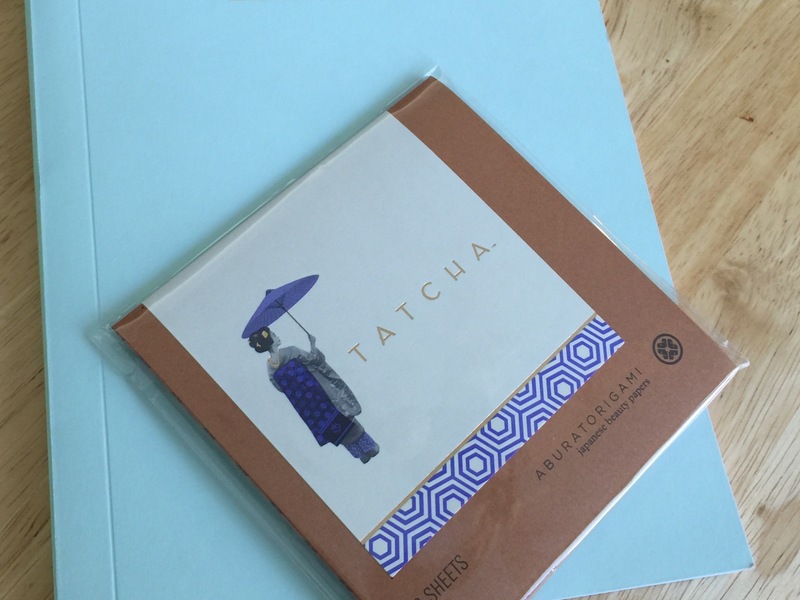 Finally, I received the Tatcha Aburatorigami Japanese Beauty Papers. Lovely packaging. But they’re blotting papers. I mean, they’re good blotting papers. But they’re still blotting papers–not really something I get terribly excited about. For $12 for 30 papers, I’d expect them to be good. But despite their claim to remove oil without removing makeup, when I used them after becoming particularly oily on a hot day here in Texas, they definitely removed some of the makeup around my nose and mouth. My NYX blotting papers ($4 for 50) have never done that. If I’m going to try a new brand of blotting paper, I want to try the Elf blotting papers that come in their own package (with a mirror!) and an adhesive sponge to pick up the papers so my fingers don’t transfer oil. But again, as a dry-skinned person, this is not high on my list. In short, they’re fine. I’ll use them again. But I won’t repurchase. Final Word: I am so glad I joined Boxycharm. I love getting full-sized products, and I am happy with just about everything in the box. The Ofra eyeshadow palette is amazing and I’ve already found my new favorite mascara. The other products are solid additions to the box. The Tatcha blotting papers are the only disappointment, simply because I don’t find them to be an exciting product in general and they didn’t work as well as my much less expensive papers. But the other products more than make up for it! I cannot wait for next month’s box! You can expect a review 1-2 weeks after I receive it!